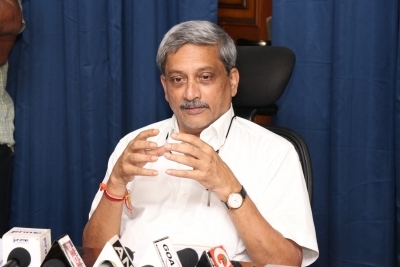 Panaji Sep 15 (IANS) With questions rising over Manohar Parrikar s continuance as Chief Minister in view of his poor health a BJP central team is expected to arrive in Goa soon to oversee political developments and speak to its party leaders as well as assure allies over the future course of action party sources said on Friday. A Bharatiya Janata Party (BJP) leader on condition of anonymity said that Parrikar has already apprised the party high command of his health condition during a telephonic conversation on Friday evening. "He has apprised the high command of his health status. When the central leaders visit Goa they will be meeting BJP leaders allies as well as Parrikar himself to discuss the leadership issue " the party leader said. Town and Country Planning Minister Vijai Sardesai who is one of the Cabinet ministers who met Parrikar on Friday along with several other Cabinet colleagues told reporters after the meeting that BJP central leaders would be arriving in Goa on Saturday to take stock of the situation. With his leadership under question due to his continued absence from office Chief Minister Parrikar on Friday made two surprising moves which have raised the political temperature in the coastal state. Parrikar who since his return from the US on September 6 had been under self-imposed exile at his private residence and a nondescript clinic operated by a relative. On Friday he made a surprise appearance at his ancestral residence in Parra village in North Goa district to pay his respects to Lord Ganesha and also convened a meeting of senior Cabinet ministers as well as the core committee of the state BJP -- his first meeting involving political leaders from his own party and allies since his return. State BJP general secretary Sadanand Shet Tanavde however said that no political issues were discussed at the meeting. "It was purely a courtesy meeting. The Chief Minister had not met his Cabinet ministers and party leaders for several days. No politics or leadership was discussed at the meeting " Tanavde told IANS. He also rejected "rumours" that Public Works Department Minister and Maharashtrawadi Gomantak Party leader Sudin Dhavalikar had been offered Deputy Chief Ministership by the BJP during the meeting. "These are all rumours. Nothing to this effect was discussed " Tanavde said even as state MGP President Deepak Dhavalikar insisted that preliminary talks with the Goa BJP leaders was on over the issue of Deputy Chief Ministership for his brother Sudin.